Borussia Dortmund goalkeeper Roman Bürki has taken a leaf out of tennis star Andy Murray's (note)book in a bid to boost his and his club's fortunes. Former men's world number one Murray has a habit of writing down a 'to do' list for an upcoming match on a small piece of paper he then takes with him onto court. 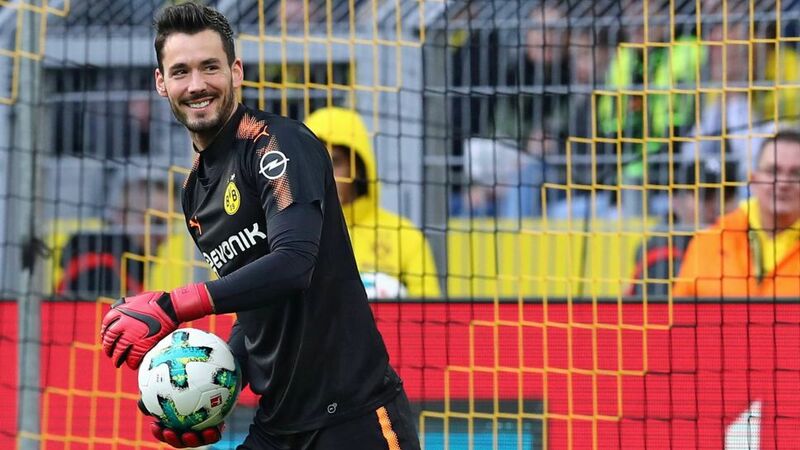 It is a strategy that has helped the Brit win three Grand Slam titles, and now Bürki hopes it will give him the push he needs to get out of a dip in form that has seen him register just two clean sheets in his last 15 Bundesliga games. "I've been going through a difficult phase recently, especially in the Hinrunde. So I have tried something new," the Switzerland international, who kept five clean sheets in the opening five league matches of the campaign, explained. "I write a new one before every game, because there are always new things and then I stick it on my locker." The 27-year-old has a history of pre-match rituals and superstitions. He can frequently be seen during the pre-match protocol between the match officials and captains seeking to be the first player to get his hands on the matchball. Previously, Bürki would spit his chewing gum into the goal behind him before kick-off and promise to himself that that would be the only thing to cross the goalline all game.